Spoon is a very special type of band, one that has to be heard just once to recognize and celebrate their genius. Watching this band perform live begs the question, how on earth does any band write such remarkable music over and over again? From its beginnings, Kill the Moonlight forward, each of this band’s records has displayed growth—not just pushing the boundaries, but exploring how far they can take a simple idea and have it blossom into something weird and unexpected, yet remarkably catchy. The first time I saw Spoon was back in 2005 at the Austin City Limits festival where the band played in front of tens of thousands of attendees. I believe the festival was capped at 55K that year, but I remember seeing the largest crowd I’d ever seen before in downtown Austin. It was surreal. It’s not unusual for a “local” band to be much more popular in their hometown, but Austin is a different story—this was a case where the local band would be playing to the same size crowd as headliner Oasis. Fast forward to last week in London where Spoon played their second show this year, the first being an intimate gig at Club 100 which I would have killed to get into but couldn’t. So it only made sense that they come back and play a proper show for the rest of us. 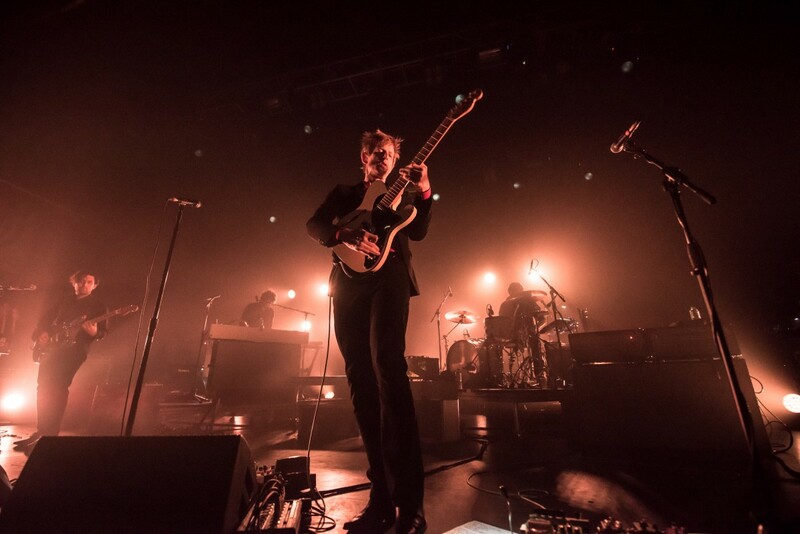 The venue was the O2 Forum in Kentish Town, and the show was everything you’d expect from one of the most original bands on the planet. Opening the set with “Do I Have to Talk You Into It” from their latest masterpiece Hot Thoughts, it set the stage in classic Spoon fashion for what would follow. Next up was “Inside Out,” straight into “I Turn my Camera On.” You have to respect a band that can play two of its biggest “hits” within the first 3 songs while still having plenty in the hopper to flush out the rest of a 90 minute plus set comfortably. One could argue that in the world of everything social media that the occasional rock ‘n’ roll feud or booze-fuelled antics are all part of the modern-day PR marketing plan, but not in this case. When the music outshines all of the hype, there’s really no need to glorify the band, especially if they don’t feed into it. I remember meeting Britt in a club in New York City years ago and he was one of the coolest, most down to earth musicians I’ve met over the years. While most would let the claim “best reviewed band of the past decade” go to their head, this guy doesn’t. But, back to the show. The lights were a dramatic combination of blues and bright whites that later exploded into an orange glow that could have simulated a sunrise on Mars for a major motion picture. Bottom line: Not many bands can deliver what is arguably their best record twenty or so years into their career, but Spoon have done just that. From start to finish, Hot Thoughts is stellar. For me personally, this album went from “never heard before” to beating out Gimme Fiction for the honor of my favorite. Well played Spoon, literally and figuratively.